New writer since retired. Transitioned from technical writing to creative writing. Enjoys writing short stories under 1500 words. Stories published in SouthWest Sage, and won SWW Flash fiction Memoir Hook contest. A short memoir haiku poem and two memoir stories published in anthologies. Two short stories awarded 2nd and 3rd place in the 2015 New Mexico Press Women Communications Contest. “My Unibrow: Post Traumatic Tweezer Disorder” was awarded Honorable Mention in this anthology. 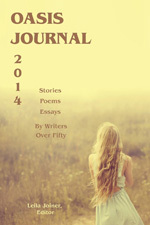 OASIS Journal 2014 is the thirteenth consecutive annual anthology of short fiction, short non-fiction, and poetry by writers over fifty. Produced in coordination with The OASIS Institute, a national non-profit organization that promotes ongoing education for seniors, OASIS Journal showcases the work of older writers nationwide, who have so much to contribute to our literary legacy, but are often overlooked because of their age. The authors included herein come from widely varied backgrounds, their ages range from early 50’s to late 90’s, and their stories are both entertaining and compelling in their passion, humor, and diversity. 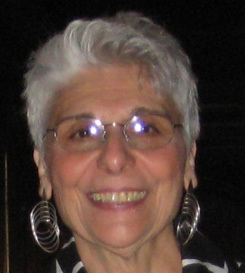 “Haiku: Life on the Scale” was awarded 2nd Runner-Up in this anthology. 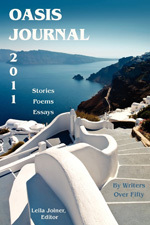 OASIS Journal 2011 is the tenth consecutive annual anthology of short fiction, short non-fiction, and poetry by writers over fifty. Produced in association with The OASIS Institute, a national non-profit organization that promotes ongoing education for seniors, OASIS Journal showcases the work of older writers everywhere, who have so much to contribute to our literary legacy, but are often overlooked because of their age. The authors included herein come from widely varied backgrounds, and their stories are both entertaining and compelling in their passion, wisdom, humor, and diversity. 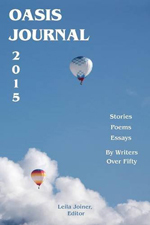 OASIS Journal 2015 is the fourteenth consecutive annual anthology of short fiction, short non-fiction, and poetry by writers over fifty. OASIS Journal showcases the work of older writers nationwide, who have so much to contribute to our literary legacy, but are often overlooked because of their age. The authors included here come from widely varied backgrounds, their ages range from early 50’s to late 90’s, and their stories are both entertaining and compelling in their passion, humor, and diversity. 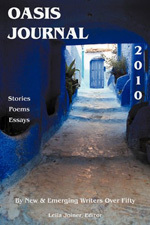 OASIS Journal 2010 is the ninth consecutive annual anthology of short fiction, short non-fiction, and poetry by writers over fifty. Produced in coordination with The OASIS Institute, a national non-profit organization that promotes ongoing education for seniors, OASIS Journal showcases the work of older writers nationwide, who have so much to contribute to our literary legacy, but are often overlooked because of their age. The authors included herein come from widely varied backgrounds, and their stories are both entertaining and compelling in their passion, wisdom, humor, and diversity.